Happy Valentines Day! This year instead of shelling out a bunch of cash for license Valentines Day puns, use ours… FREE! As a special gift for all of our visitors, we’re giving out FREE Alien Invasion Valentines you can print out yourself. 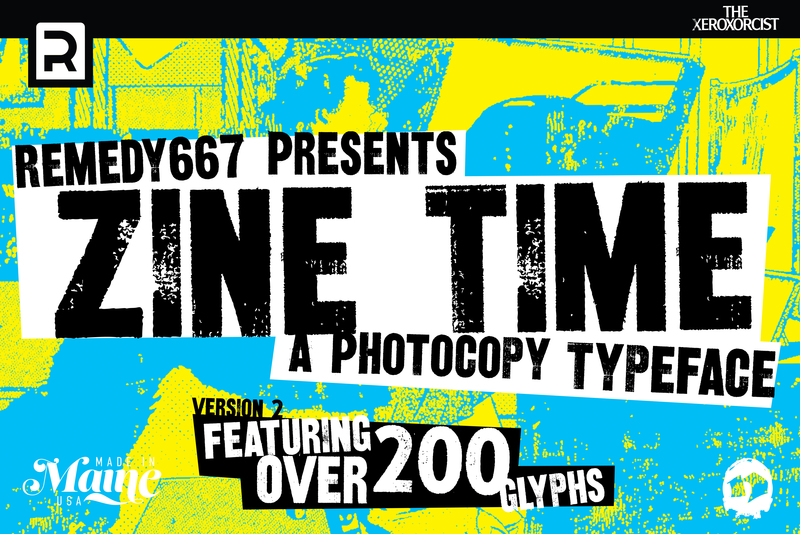 Version 2 of Zine Time is live and available for purchase. New from Remedy667, comes a copy… of a copy… of a copy… of a copy… of the font that pioneered the Xeroxorcist series. This update introduces a lot of new glyphs into the set, bringing the total over 200. Check it out on Creative Market, or Creative Fabrica. Look out for more updates in the near future… more kerning, and some bonus extras. 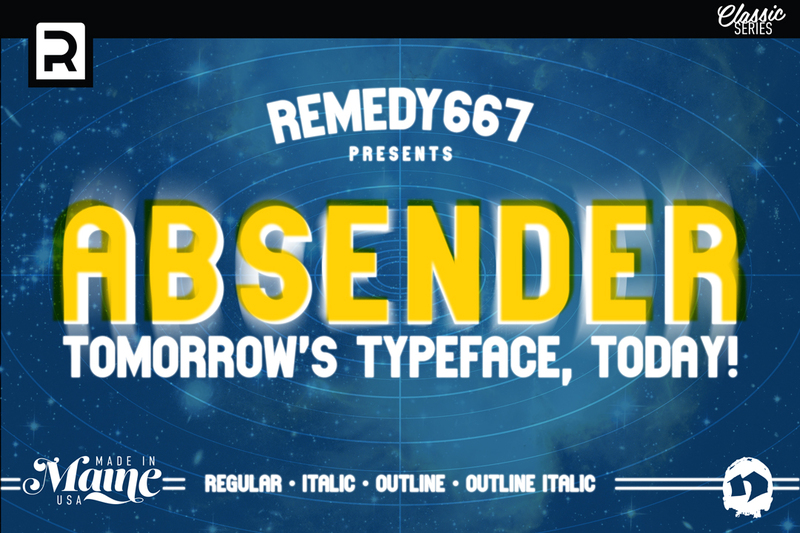 Also, Absender Pro, an old favorite from dafont.com back in the day… coming soon. Zine Time is it gritty sans serif display face derived from old newspaper headlines that have been photocopied and photocopied and photocopied and… It’s perfect for zines, advertising, basically anything that you want to have a worn worn photocopied look without having to bother with the fax machine, or photocopier. I use it to make store circulars because of it’s bold letterforms.